When clients need protection from bankrupt debtors, they turn to Michael. Many of the clients Michael counsels are companies that find themselves as creditors to distressed borrowers and bankrupt debtors. Whether clients are secured lenders or unsecured creditors, Michael takes a straightforward, no-nonsense approach, seeking to maximize recoveries while minimizing the time and fees required to achieve each client’s goals. 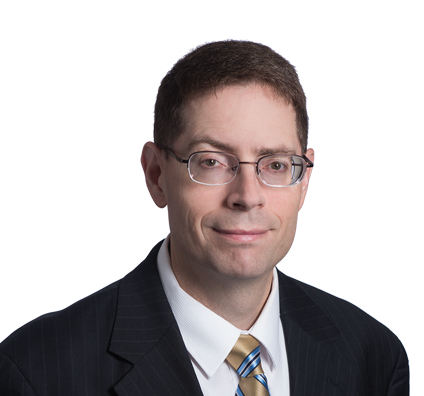 Michael has authored numerous articles nationally and internationally in well-respected bankruptcy publications and has frequently spoken on debtor/creditor issues, including bankruptcy, avoidance actions, landlord-tenant issues, evidence, electronically stored information, arbitration, international litigation and ethics. *The American Board of Certification’s Business Bankruptcy certification program is accredited by the American Bar Association. Neither the Supreme Court of Missouri nor The Missouri Bar reviews or approves certifying organizations or special designations. Defended several preferential transfer claims that sought recoveries in excess of $1 million. Notable preference settlements: Peterson v. Tyson Fresh Meats Inc. (In re Agri-Best Holdings LLC, Bankr. N.D. Ill. 12-01455), $1.4 million preference settled for $32,500; Davis v. Invista S.A.R.L. (In re Fabrics Estate Inc., et al., Bankr.E.D.Tenn. 10-01210), $388,243 preference claim settled for $4,000. Prosecuted various discharge complaints seeking denial of debtor’s bankruptcy discharge: In re Patterson, 2013 WL 3376780 (Bankr. N.D. Ala. 2013), granting of summary judgment and denying discharge of $807,500 debt, Quinn Capital LLC v. Ballard (Bankr. D. Kan. Case No. 11-06202), agreed judgment for $1.5 million; In re Glenn, 335 B.R. 703 (Bankr. W.D. Mo. 2005), denying debtor’s discharge under 11 U.S.C. § 727), Automotive Finance Corp. v. Knotts, (Bankr. D. Kan. Case No. 12-5102), agreed judgment. Represented banks and other financial institutions in bankruptcy proceedings, including cash collateral issues, adequate protection payments, stay relief proceedings, plan confirmations, enforcement of rights and prosecution of discharge complaints. Protecting NVOCCs Against Customer Bankruptcies: Are Security Interests Possible? 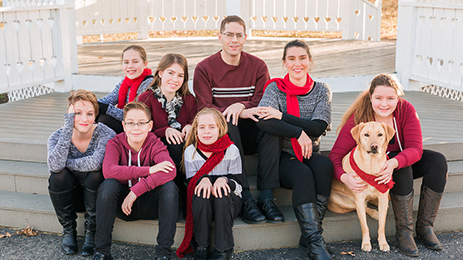 The father of five daughters and a son, Michael spends most of his free time with his family. He enjoys hiking and biking with his family or by himself. Michael is actively involved in The Church of Jesus Christ of Latter-day Saints. Since attaining the rank of Eagle Scout in his teens, Michael has maintained ties to the Boy Scouts of America. He served as Unit Commissioner of Troop 1175 of the Heart of America Council. He served for more than four years as Scoutmaster for a troop of 11-year-olds, then in 2017 became the Scoutmaster for his son’s troop, 1946, where he continues to serve and help young men achieve the rank of Eagle. Clients save time and money by using Michael’s proprietary and highly specialized software, Pref-Defend. Combining technology with his vast experience in preferential transfers, he developed the analytical tool to defend and resolve preference claims. Using basic payment history information, the analytical tool identifies defenses to preferential claims, strengths and weaknesses of a client’s case, and possible settlement results.